Plat A, Block 30, Lot 5 on the old pioneer map of St. George. In 1873 Brigham Young realized for the first time that he, too, was mortal. It was not that he was so old (73) for he wasn't, but the years of heavy physical toil and the stress of even heavier mental burdens began catching up with him. He knew that for his own sake and for the sake of his people, he must begin taking care of himself. The one thing he dreaded most of all was the cold winters. He was New England born and bred and had been a resident of Salt Lake City for most of his mature life, which should have inured him to the cold, but it hadn't. He realized that he must devise a scheme to avoid it as much as possible. St. George was the solution. Brother Brigham had a special place in his heart for this city. Where would he live? True, he already owned a home in St. George at 111 West St. George Boulevard. It was inhabited by one of Brother Brigham's older wives, Aunt Lucy B. Brigham knew that he would find no contentment in his winter sojourn if he could not be accompanied by his young wife, Amelia Fulsom. He had promised Amelia when she consented to marry him that he would never ask her to live in the same house as any of his other wives. With typical Brigham Young efficiency, he settled on a solution acceptable to all. He would build a new home for Amelia which was close enough to Lucy B. that he could conveniently drop in on her every day. 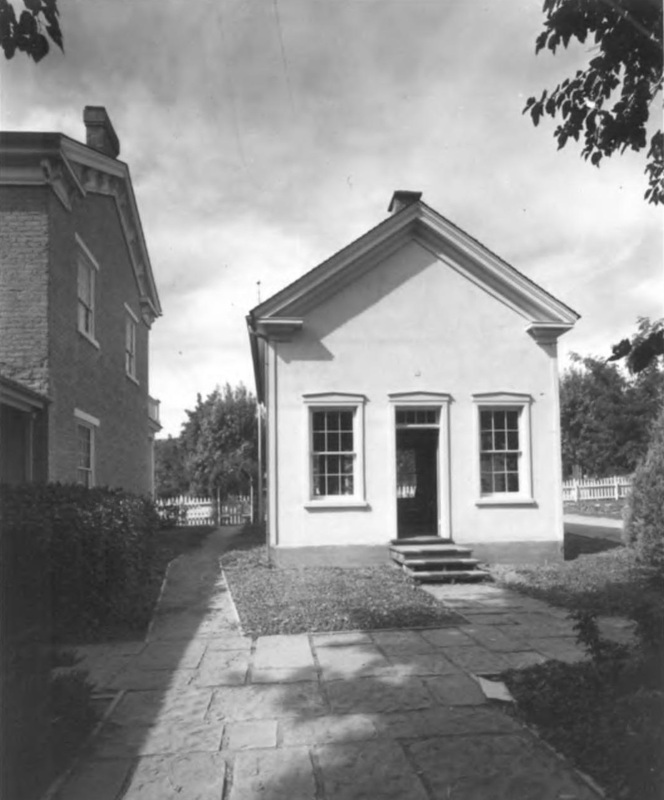 He purchased a lot at 155 West 200 North and called in his architect, Miles Romney, to build a comfortable house worthy of Amelia. Miles was busy with public works, the Temple, the Tabernacle, and the County Courthouse, but he designed the house and oversaw the construction of the lower floor. He turned the rest of the work over to his son, Miles P., who had served as an apprentice to his father on the other buildings. 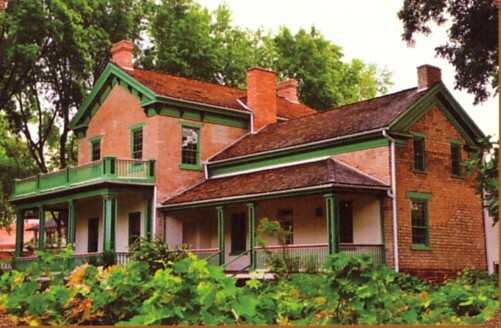 The original portion of the home was begun in 1869 and completed in 1871. The front addition was completed in 1873. The house had a two-room basement or cellar, as they called it then, built of red sandstone. The foundation was laid in a T-shape of black rock and the walls were constructed of locally manufactured adobes. The house contained an entry hall housing the stairway and opened into a formal parlor. Behind the parlor was a dining room, then a kitchen with a pantry to the left. The second floor had three bedrooms . Outside the house was of the same type of architecture popular with the Mormons in the Nauvoo period. The roof was gabled and covered with wood shingles and the cornices were bracketed. East of the home was a small, one-room structure, 18'5" by 22'5". Here, Brother Brigham had his office and his private telegraph equipment. Here Dixie's early "snowbird" was able to supervise the building of the St. George Temple. Many local residents insisted it was the room for the butler Amelia brought down from Salt Lake City. The house served as Brigham Young's Winter Home until his death in 1877. Put on the National Register of Historic Places (#1971000863) on February 22, 1971. 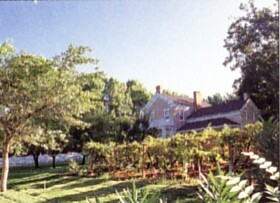 Brigham Young's Winter Home was refurbished and reopened on 31 May 2003. The work was under the direction of Richard Oman, LDS Church Curator. Furniture and other material in the home was removed during the refurbishment. Brigham Young was born in 1801 and died in 1877. He was the second President of the Church of Jesus Christ of Latter-day Saints (LDS, Mormon) church and led members of the church from Nauvoo IL out to the Salt Lake Valley in 1847. He led the Church in its settlement of the west. 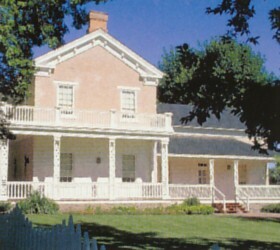 For several years, President Brigham Young spent the winter months in this home in St. George, Utah. He first purchased the home in 1868. The structure was expanded and remodeled in time for President Young's visit during the winter of 1873-74. 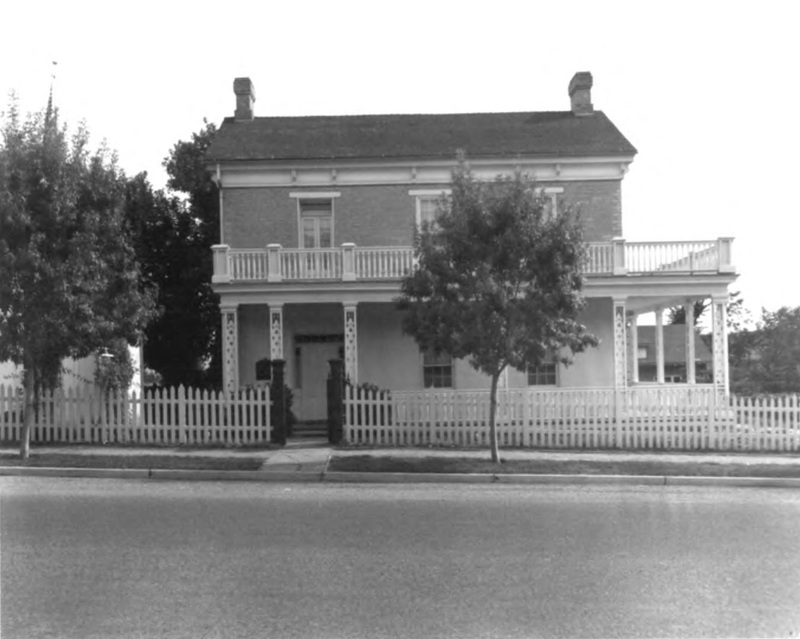 The Young family owned the home until 1882. It was subsequently owned by various private parties for nearly eighty years. 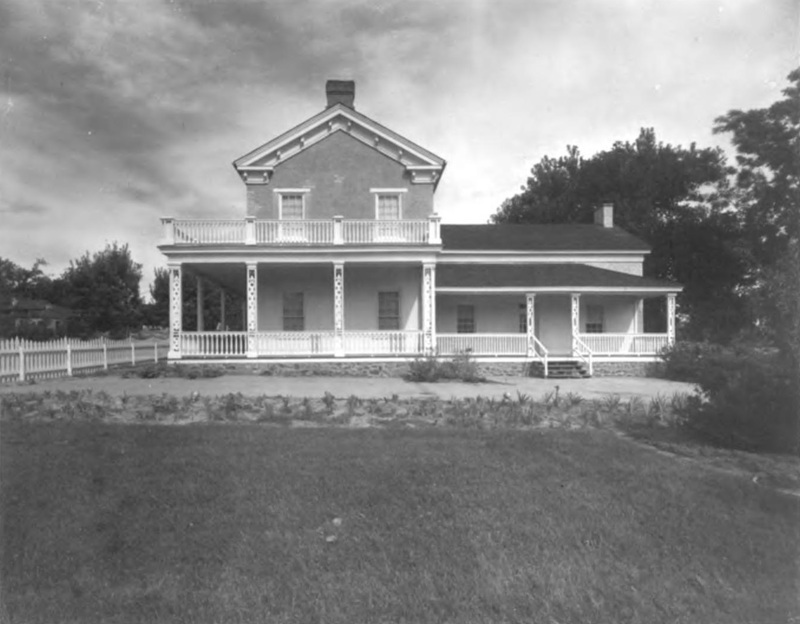 In 1959 the home was given to the state of Utah to be operated as an historic site. It is presently owned by the LDS Church and open to the public. Historical Buildings of Washington County (Volume 1), pp. 4-5.